Patrick Dorow Productions is acting, dancing, and singing its way back to high school, which can only mean one thing: a production of "Fame — The Musical." The show chronicles the lives of a group of students over the course of four years as they attend the New York School for Performing Arts. Cast-wise this translates into the need for a whole lot of triple-threat performers; proficient in the three aforementioned arts. The main stage production features 37 performers, with 25 teenagers appropriately playing the ensemble roles, most from the Seacoast. "We had over 100 people come in to audition for the show in addition to about 20 online submissions from out of state," Patrick Dorow says, adding, "It's a popular play." The cast includes area professionals and a number of New York City performers. "She keeps joking that she moved to New York to pursue her dream and her first job offer was to come back home," Dorow says. Herman performed locally for years. 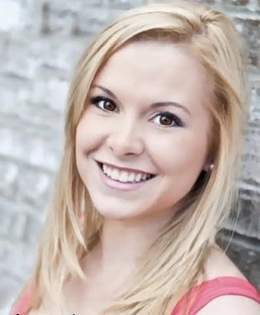 Most recently she appeared as Audrey in PDP's "Little Shop of Horrors," Princess Fiona in "Shrek the Musical" at Prescott Park Arts Festival and Joanna in "Sweeney Todd" at Seacoast Repertory Theatre. "I will actually be reprising my role of Serena Katz," says Herman, 25, who will play Katz from age 14 to 18. "'Fame' has a special place in my heart actually; in high school I did it with The Bell Center in Dover." Herman and the other main role performers will have a mere week and a half rehearsal before curtains up, but she's not sweating it, she says. "Because I've played the role before I already know my songs. I will have to brush up on my lines and quickly get the blocking in my body, but that's pretty normal," she says. "I'm also interested to learn how the songs sit in my voice now that it's more developed. My voice still has some growing and maturing to do, but it's definitely changed since I was 18!" The New York contingency includes Andrew Barret Cox who appeared as Rocky in a PDP "Rocky Horror," and Britain Gebhardt, who performed as a Shop Girl in its "Little Shop of Horrors." Both Danielle Lussier and Brandon Looney will make their Seacoast/PDP debuts. Local performers are Nick Moulton as Nick, Sarah Condon, the show's choreographer, as Iris, Jennifer Henry as Miss Sherman, Michael Stailey as Mr. Myers, and Daniel Hollander as the music teacher. Three high school students will take on supporting roles: Emilie Byrne as Mabel, Gavin Sorge as Joe and Kendall Mood as Lamb Chops. The younger cast members, supporting and ensemble, will have had two month's rehearsal before hitting the stage, Dorow says. "It's unique; we started with the rehearsal process for this show over a month ago. They are in triple threat bootcamp right now," he says. "They have to sing and dance and act all at the same time to an exceptional level, each and every one of them." Many of the teens are members of a PDP youth program and have been at it since last year, he adds. "But now we're distilling the process. The challenge is each has a different strength — dancing, acting or singing. So our job is to elevate the other elements to a higher performance level," he says. "That said, I've never seen these teens dance the way they are for this show; it's incredible." PDP is also presenting a producing of "Schoolhouse Rock Live! Junior" during the same runtime, with 8 to 18 year-old performers. "We chose this show because I think there's a great lessons in it, to work hard and to strive for dreams; work hard, work hard, work hard," says Dorow, who will produce, direct, musically direct and design the set for the show. "It has a great message and it's a great show." "Fame — The Musical" will run from April 17 through April 26 at the Star Theatre in the Kittery Community Center, 120 Rogers Road, Kuittery, Maine. Tickets are $25 ($20 students and seniors). Call (207) 439-3800 or visit www.patrickdorowproductions.com.